In this Section the audience will be able to enjoy landscape paintings of old and modern Singapore, including heritage buildings such as the old National Theatre and the old National Library which have unfortunately disappeared from the Singapore scene. 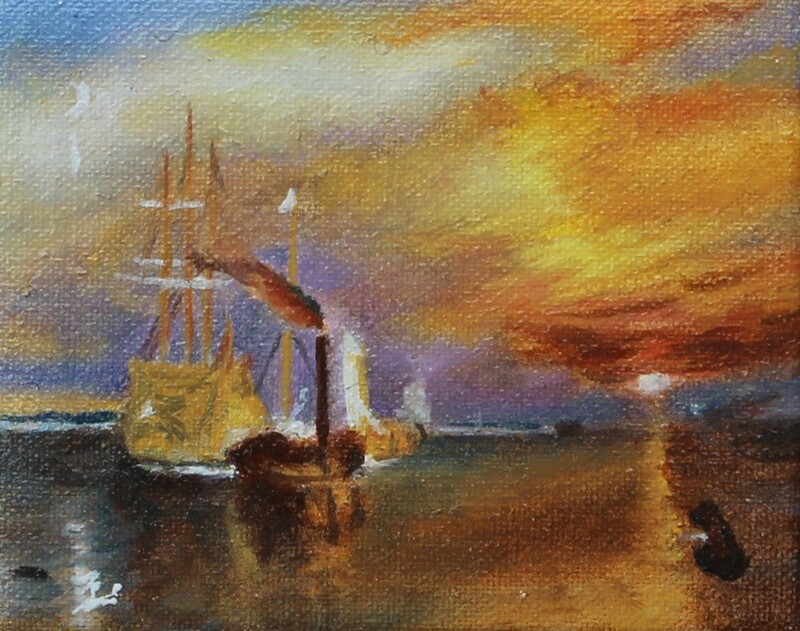 The prolific English painter, Joseph Mallord Willam Turner (1775-1851 ) was known as a ‘painter of light’. He may not be widely known in Singapore but his artworks inspired impressionist artists such as Monet. Being an admirer of this great artist, Gek Kheng reproduced a number of his famous works which portray the sky in shimmering colours. Over thirty reproduction works of the Old Masters such as da Vinci, van Gogh and Vermeer will be displayed. These artworks include ‘Mona Lisa’, ‘Starry Night’ and ‘Girl with a Pearl Earring’. Catch this wonderful art exhibition by Lim Gek Kheng and experience the world of art in miniature!